Finger Lakes Features: Terphane, LLC. From left to right: Ellen Smith, Marcos Vieira, Arash Thompson, Bob Stekl, Kathleen Wise, Mike Nickens, of Terphane, LLC. Terphane LLC. located in Bloomfield New York. Congratulations to Terphane LLC. for being recognized by The New York State Society for Human Resource Management (NYS-SHRM) as one of the Best Companies to Work for in New York for their outstanding achievements in employee engagement. The Best Companies to Work for in New York State award recognizes the best employers in the state. It is a distinctive program that evaluates and ranks the best places of employment based on employee satisfaction and engagement, as well as workplace practices and policies. The 12th annual Best Companies to Work for in New York list is comprised of companies with operations in New York State, split into three groups: 26 small employers with 15 to 99 U.S. employees, 23 medium employers with 100-249 employees and 26 large employers with 250 or more employees. Terphane Inc. was recognized in the “Small Employers (15-99 U.S. Employees)” category. Terphane has over 40 years of experience in film design, coating, metallizing, specialty coextrusions, and more. Terphane’s broad offering of unique, value-add PET film products begins by compounding their own resins. Terphane transitions that into their wide range of products that provide solutions for small customers and global brand owners. They offer a variety of options for lidding, high barrier, retort and hot fill applications. As the only US owned PET film manufacturer in the world, Terphane continues to re-invest millions of dollars in new technology, state of the art equipment, and most importantly, relationships with their customers. These choices make Terphane a leader in all aspects of the packaging marketplace. In 2018, Terphane created their velvety matte film and a LIDBAR film that extends shelf life, improving overall product sustainability. Beyond film technology, they’ve also created software improving service to their customers and their access to their products. The next phase launches in 2019. Terphane encourages employees to keep learning and acquiring new knowledge. Employees are able to participate in the “Day in the Life” program where they can shadow any position in the company. Operators take initiative for their own development through Terphane’s skills matrix program, which rewards operators as they develop new skills. 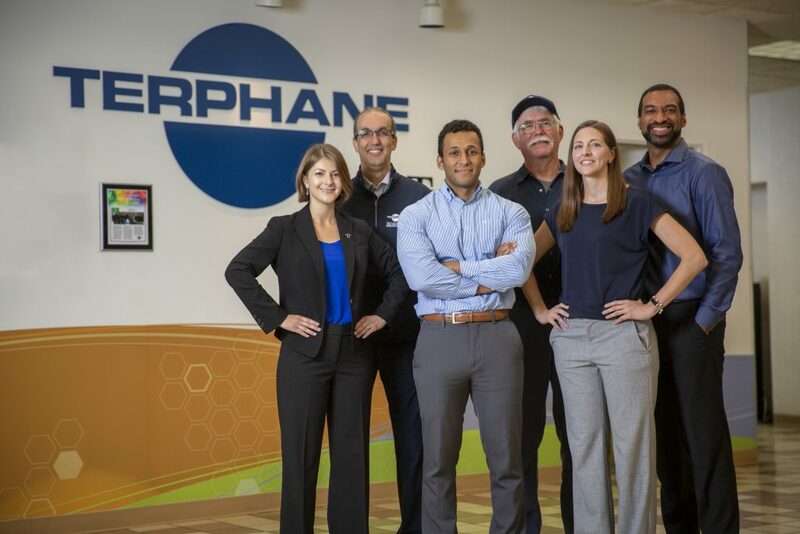 Additionally, employees are invited to participate in “Terphane Talks” during lunch to learn about innovative practices and how they can impact the business. Communication through Terphane’s new mobile app helps contribute to employee engagement, as employees are invited to post on the timeline and create group chats. “I enjoy working at Terphane because of the individuals I work with and the team-work environment that promotes a positive work atmosphere, continuous development, and individual growth,” says Kathleen Wise, Accountant. 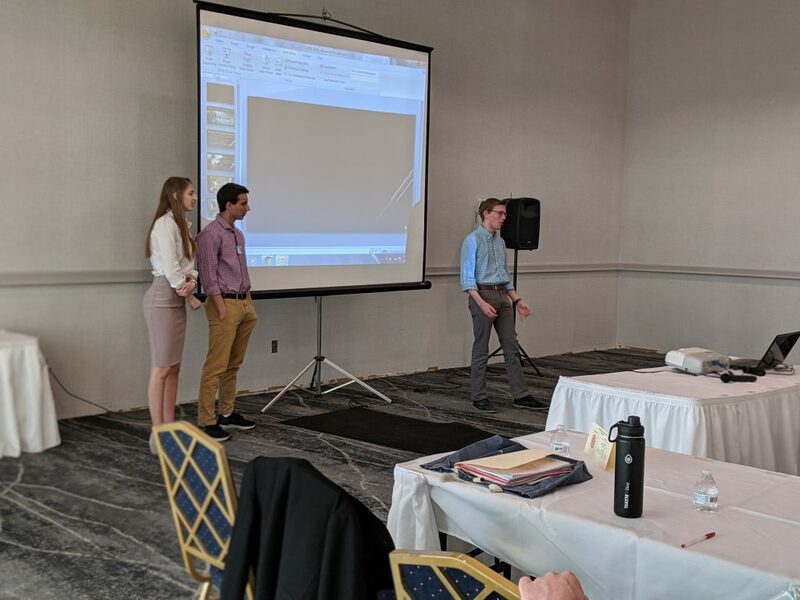 Terphane strives to be known as a premier employer in the community and a driving force behind plastic film innovation focused on sustainability and creative solution ideation. 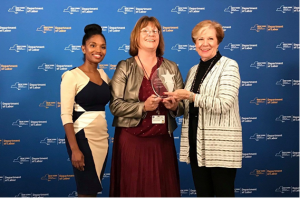 Michelle Coomber (center) receiving award from New York State Department of Labor Commissioner Roberta Reardon (right) with Nathaalie Carey, Deputy Commissioner for Administration and Chief Financial Officer at the Department of Labor. (on left). Michelle received the Individual Award of Excellence from the State Commissioner of Labor last month in Albany. Individual Award of Excellence recognizes someone who demonstrates consistent, excellent performance in everyday tasks and/or outstanding effort in a specific project or assignment, including results above and beyond expectations, excellent customer service, consistent quality work, high production levels and a continuous positive attitude. The person displays commitment, quality, integrity and professionalism in his or her work. The Finger Lakes Workforce Investment Board congratulates Michelle for receiving this award for the service provided to veterans looking for employment. 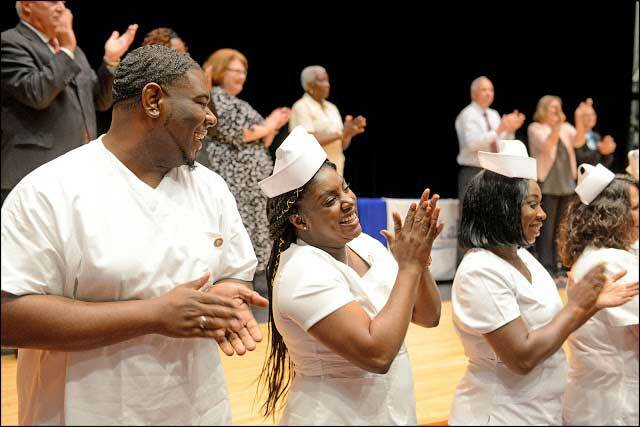 A ceremony at Finger Lakes Community College on Thursday, August 2nd celebrated the first graduates of a new training program to provide advancement for entry-level health care workers. The 21 graduates completed a program that allowed them to take classes to become licensed practical nurses (LPNs) while maintaining an income to support themselves and their families. All began as certified nurse assistants (CNAs) and took classes for 20 hours a week over the last year while working for 20 hours. 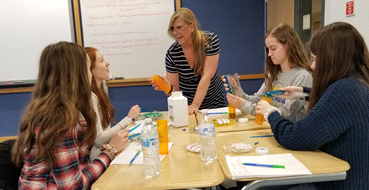 The CNA to LPN Program is facilitated by FLCC in partnership with the Rochester Educational Opportunity Center at SUNY Brockport, Rochester Regional Health, RochesterWorks!, and Finger Lakes Works. Locate Finger Lakes is an economic development initiative designed to assist and foster collaboration among the established economic development efforts with targeted, proactive, marketing communications and networking. 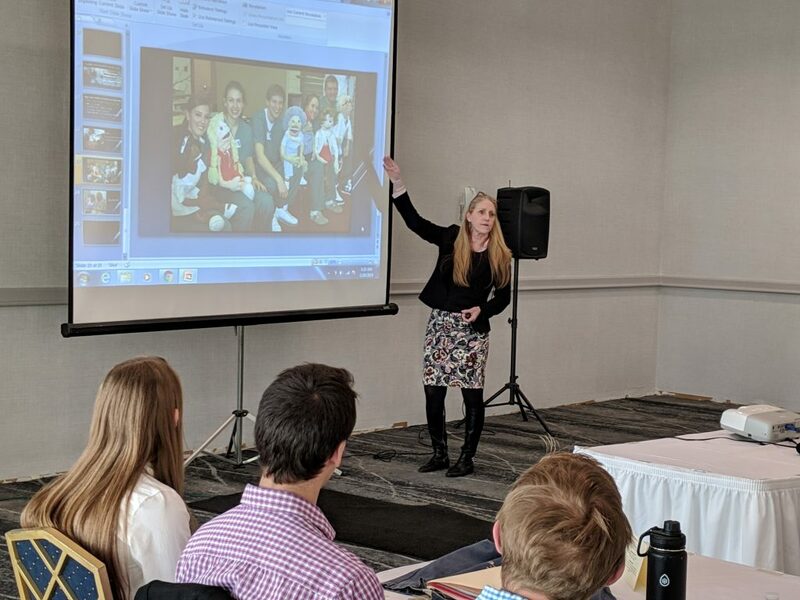 The organization is focused on directing local, national and international business leaders to Finger Lakes information and inspire them to look closely at the region’s assets enabling their businesses, their families and their employees’ families to thrive. The initiative is based on collaboration with a number of community and academic partners including Cornell’s College of Agriculture and Life Sciences Director Kathryn J. Boor, Danny Wegman, Seneca County IDA Executive Director Bob Aronson and Mike Manikowski, Executive Director of the Ontario County Office of Economic Development.